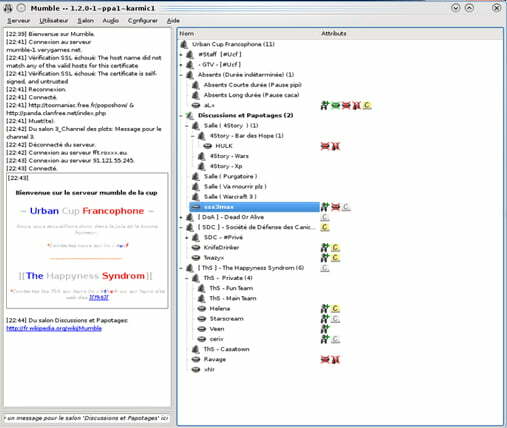 Mumble is free and open-source software, is cross-platform, voice over IP (VOIP) application primarily designed for use by gamers. 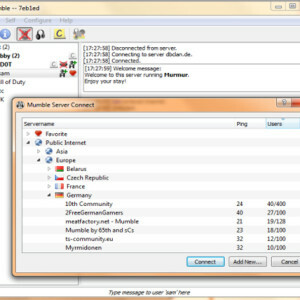 Mumble uses a client–server architecture which allows users to talk to each other via the same server. 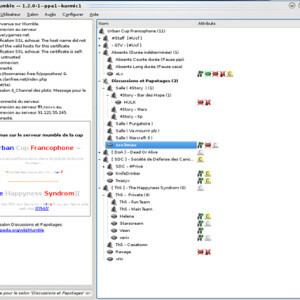 It has friendly interface and features high sound quality, Mumble uses Speex not only as a voice codec, but also for noise reduction and automatic gain control, also incorporates echo cancellation, which permits the use of speakers as well as headphones and low latency resulting in faster communication. This amazing tool is also powered by the plugins that you can add to make it more according to your needs o your video game needs. And another great feature is that all communication is encrypted to ensure user privacy. Super Low Latency. While protocols like Ventrilo have significant lag baked into them before network latency is even considered, Mumble’s communications happen in milliseconds. When you speak, your team hears you, right then…not in a second and a half. Superior Voice Quality. 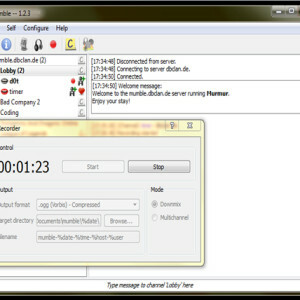 Mumble uses the CELT audio codec for voice quality that sounds like you’re sitting right next to people, even when they’re on the other side of the country. It also offers fallback to the tried-and-true Speex codec for low-bandwidth players. Automatic Normalization, Noise Filtering, & Echo Cancellation. 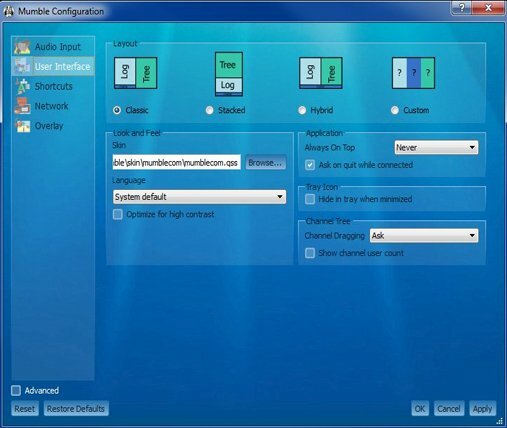 Mumble automatically adjusts voice volume and filters out background noise for an optimal experience. The days of having your ears blasted out by that one guy (you know who he is) that just can’t find their mic volume are gone. Tools for Gamers. Mumble comes equipped with goodies designed to make voice chat communications more effective. Overlay. Mumble’s native overlay is beautiful, customizable, and useful, right out of the box. See an example on YouTube. The overlay will show who is talking in the upper-right hand corner of the screen. G15 Support. Mumble can display all sorts of useful information; right there on your Logitech G15 keyboard display. Positional audio plugins. 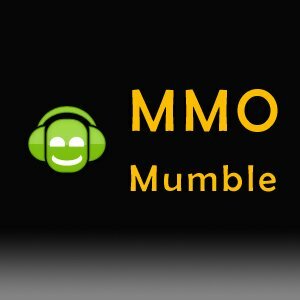 Mumble offers support for positional audio in many games, meaning that when your teammates speak, you’ll hear them from where they are in-game. Zero in on kill assists or save your teammate’s bacon more accurately and precisely than ever before. 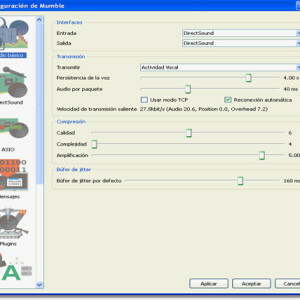 Automatic Sound Attenuation. When others speak, Mumble can lower other system sounds so you hear the incoming chatter clearly. Play with game sound and music on – Mumble will make sure you never miss a word. Easy Administration. 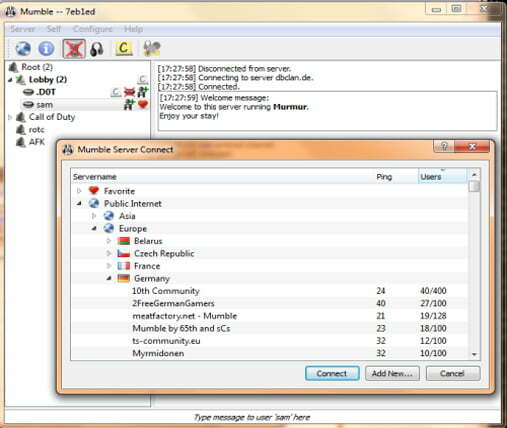 MMO-Mumble does all the hard work for you in setting up, deploying, configuring, and running your server. 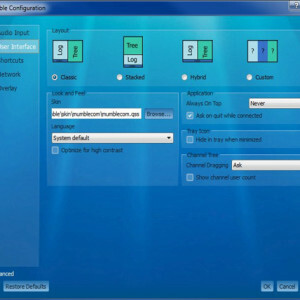 Once you’ve got your server set up, you can create, edit and delete channels, grant or revoke user permissions, etc. entirely from your client. You don’t ever have to dig through a confusing, slow web interface again. 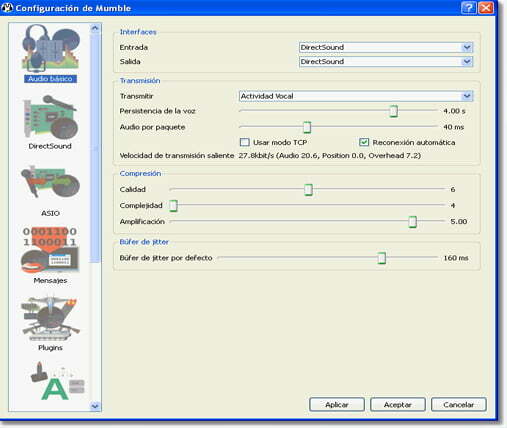 Powerful Access Controls. Mumble lets you create user groups, and then give those groups of users different permissions and abilities, enabling you to tailor your server to your exact needs. Chat and Comments. Send a link to a whole channel, or put an image in your comment. Mumble allows you to get as flexible as you want. Powerful, Flexible Configuration. Never get frustrated at a voice chat client that doesn’t do what you want again. Mumble lets you tweak all the knobs and dials to your specific preferences.